Spike the Bengal Tiger is Larry Wallach's pride and joy. She is only a year old, but is already 90 kilos (200lbs) - she'll be double that size when fully grown. But like the lion and the mountain cougar before her - Spike is already too big for her cage in Larry's back garden in the suburbs of New York. Larry fancies another lion cub next - and sees no problem with that. "I think if you're capable, financially property wise, and you want it - we're Americans, we live in a free country - then go get it!" says Larry. 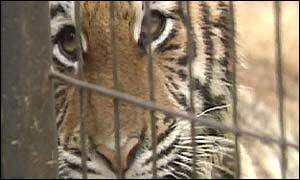 Spike is one of an estimated 10,000 tigers kept by private citizens in America - that is more than remain in the wild. Some owners, like Larry, are allowed to because they use them for educational purposes, such as taking them to schools and on TV shows. But what makes people get big cats as pets in the first place? Larry says it's mainly ego. Animal behaviourist Steve Zawistowski from the American Society for the Prevention of Cruelty to Animals would probably agree. Stick to normal cats is his message - big ones aren't just meant to be pets. "It would be safer for the community if this was made illegal," he says. "We already a wonderful collection of animals who we've spent thousands of years domesticating - so they make great pets - be happy with those. "These big cats are going to suffer when you have them - and you're going to be a danger to yourself and your community." For the thousands of Americans who do not agree, just knowing where to find big cats on the internet is all it takes. You can get them from ranchers and breeders - who trade quite discreetly to sidestep state laws. One site is offering tiger cubs for $1,800 each - and there are lions available for $1,000. There are some big cats available for as little as $500. 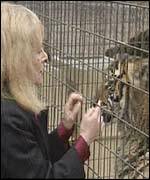 More attention is now being paid to the issue - as a woman in suburban New Jersey is battling in court to keep her 24 pet tigers. Her permit to keep them as "theatrical" animals was revoked - and she ia trying to move them to neighbouring New York. But in both states, residents are not happy - and perhaps not surprisingly - want a tightening of the law. Quasars: 100s of times brighter than normal galaxies Astronomers have detected cosmic ashes from the dawn of time. It comes from stars that died more than 10 billion years ago. 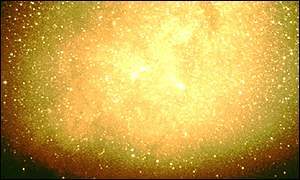 It is the first time stellar dust has been detected at such an early stage in the evolution of the Universe, say British scientists. The snapshot of the baby Cosmos was taken using a powerful instrument on a telescope in Hawaii. The instrument used one of the world's most powerful cameras to glimpse some of the most distant quasars yet known. Analysis of the quasars' light revealed that it came from galaxies that were formed very early in the history of the Universe. The quasars appear to contain large amounts of cool dust, a substance formed from the atmospheres of old stars. 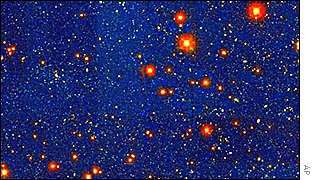 "We're looking more than nine-tenths of the way back to the birth of the Universe in the Big Bang, " said team leader Dr Robert Priddey of Imperial College, London. He added: "It`s amazing enough that these quasars, powered by billion solar mass black holes, should already exist only a billion years after the Big Bang. "That these quasars also appear to contain so much dust yields important clues to the formation of massive galaxies in the youthful Cosmos." The existence of the dust and the presence of constituents like silicon and carbon suggests that a large mass of stars had already been born, grown old and died, within only a billion years of the Big Bang. Dr Richard McMahon of the University of Cambridge said: "The stars that made the carbon and silicon in these quasars are probably like the stars that made the carbon in our own bodies. "It is very exciting to be able to learn when the chemical elements in our bodies were made." Full details of the findings are presented on Friday 12 April at the National Astronomy Meeting in Bristol. Astronomers have announced that they have found objects in space which appear to be made of a kind of matter which has never been seen before. The objects are called quark stars, and they are extremely dense, though not as dense as black holes. 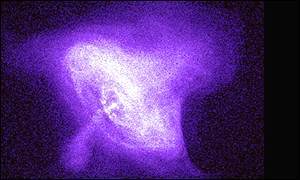 The observations were made by the orbiting Chandra X-ray Observatory, and were unveiled at a Nasa press briefing in Washington. Quarks are incredibly tiny particles which make up much of the Universe. But on Earth, they are impossible to find on their own - they huddle together in groups of three, making up the protons and neutrons inside ordinary atoms. The laws of physics say that inside the super-dense remnants of dead stars, quarks might be forced out into the open. They would make up a radically different state of matter called strange quark matter, so dense that a teaspoonful of it would weigh billions of tonnes. Now astronomers say they have found two objects in space which appear to consist of strange quark matter. These quark stars, as they are called, are not dense enough to be black holes, but they are too dense to be anything else. The astronomers caution that further observations are needed to confirm their findings, but say that if they are right, quark stars will provide them with stunning insights into the nature of matter - their first look at some of the fundamental building-blocks of the Universe. Some scientists have suggested that if strange quark matter does exist, it could destroy ordinary matter by converting protons and neutrons to naked quarks, spreading through space like a cosmic wildfire. Now they know where to look, researchers will be able to judge what the chances are of this strange threat ever materialising. Our own galaxy could harbour Earth-like planets The search for life in outer space has received a boost. British scientists say that in theory there could be a billion Earth-like planets in our own galaxy, the Milky Way. It may be only a matter of time before telescopes spot them. The prediction has been made by two astronomers at the Open University using a mathematical model. According to computer simulations, some of the newly discovered distant Solar Systems should contain smaller, Earth-like planets. "We do know that there are a lot of known planetary systems beyond our own Solar System," Dr Barrie Jones told the BBC. "But what we don't know is if there are any Earth-like planets up there." Astronomers have identified nearly 100 planets in orbit around distant stars. These so-called "exoplanets" are not the sort that could support life. They are enormous and of the same gaseous make-up as Jupiter. Dr Jones believes that smaller Earth-like planets may exist in some of these far-flung planetary systems. "What I've been doing is saying: 'Well we can't see Earths yet - but let's suppose that they are there - could they actually exist or would they be flung out into interstellar space by the presence of these big giants?'" he said. He said a computer model to see whether Earth-like planets could survive among the giants had produced "some rather encouraging results". It suggests that more than one billion habitable planets could exist in our own galaxy. Dr Jones said it would be 10-15 years before telescopes are powerful enough to spot any smaller planets that might be present. But astronomers will at least know where to look. The Solar System most like ours discovered so far is centred around a distant star called 47 Ursae Majoris. Two planets orbit the star - one twice the size of Jupiter and the other slightly smaller. The findings will be presented at the National Astronomy Meeting in Bristol on Wednesday 10 April. Human cloning is highly controversial President George Bush has urged the United States Senate to ban all research on human cloning. 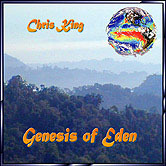 "Life is a creation, not a commodity," he said in a speech on Wednesday. "As we seek to preserve human life, we must also preserve human dignity - and therefore we must prevent human cloning by stopping it before it starts." Mr Bush was speaking to an audience of doctors, scientists, religious activists and people with disabilities - lending his support to a bill expected to be debated soon in the Senate. The president said that anything short of a full ban would be unethical, and nearly impossible to enforce. "As we seek what is possible, we must always ask what is right, and we must not forget that even the most noble ends do not justify any means," he said. The House of Representatives passed a similar bill last July - banning the production of all embryos that are the genetic twin of a donor. Many in the Senate oppose using cloning to create human beings, but there is more support for so-called therapeutic cloning - creating embryonic stem cells for use in research and the potential treatment of disease. The use of embryonic stem cells is controversial because a living human embryo is killed in order for the cells to be extracted. Senators are currently considering two bills - one which would ban all human cloning research, the other which would ban reproductive cloning but allow therapeutic cloning. In supporting a total ban, Mr Bush said: "It would be a mistake for the US Senate to allow any kind of human cloning to come out of that chamber." He added that obtaining success from cloning research was "highly speculative". The BBC's science correspondent Richard Black says that President Bush has never hidden his distaste for human cloning research. In August last year he decided to restrict federal funding on stem cell experiments, saying he "recoiled at the idea of growing human beings for spare body parts or creating life for our convenience". According to a recent opinion poll, four out of five Americans feel the same way. The movement for a complete ban received another significant boost on Tuesday, when Senator Bill Frist declared his support. Senator Frist, a former heart transplant surgeon, is the Senate's only doctor and it is thought he will play an influential role. Creating a human embryo "for reason of experimentation leads to destruction of that embryo - and to me that is morally unacceptable," Mr Frist told reporters. The issue has been given added impetus in the last few days by the news that an Italian fertility doctor, Severino Antinori, claims to have cloned a human. If the Senate does ban therapeutic as well as reproductive cloning, it will bring the US broadly into line with other countries such as Germany, Australia and Japan. The UK, however, permits such research under strict licence. A single biological attack on the US could cause 10 times more deaths than a nuclear strike, claims a report from an influential think-tank. The Brookings Institution is advising President Bush to concentrate anti-terrorist efforts on thwarting "doomsday" scenarios such as these. 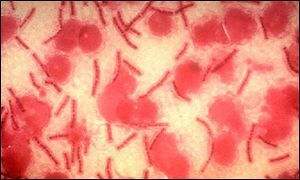 The report, "Protecting the American Homeland", to be published on Tuesday, estimated that the greatest threat is posed by widely dispersed smallpox, anthrax or ebola. Doctors expert in the lethal nature and potential spread of such infections helped compile it. It suggests that a nuclear device exploded in a major US city would kill 100,000 people - but that a million could die if large areas were exposed to lethal bacteria and viruses. In addition to the death toll, hundreds of billions of dollars worth of economic damage could be caused by biological attack, says the report. Michael O'Hanlon, from the Brookings Institution, said: "There are an unlimited number of potential vulnerabilities. "We're going to have to spend some time prioritising and organising our thinking. "We really should be focusing on potentially catastrophic attacks, meaning large number of casualties or large damage to the economy." The report urges the government to increase spending on air defences, food safety and cyber-security. In the wake of the September 11 attacks, the US appointed a Homeland Security Director working to tighten defences against terrorist attacks on American soil. The White House is seeking a budget of $38bn for homeland security measures in the 2003 budget - a sum described as insufficient by the Brookings report. Other "vulnerabilities" identified by the report include the possibility of nuclear attacks on the maritime industry using devices concealed in a shipping container. Attacks of this kind could cost the economy as much as a trillion dollars in losses. A successful attack on a nuclear or toxic chemical plant could potentially cause 10,000 casualties, said the analysts. They stressed that biological attack, particularly with Ebola, was a remote possibility. A complete detailed map of the human genome will be finished by next year, according to the new president of the Human Genome Organisation. Speaking at the beginning of the seventh International Human Genome Meeting in Shanghai, professor Yoshi Sakaki said technological advances in genetic research would allow new medical treatments to be developed for diseases like diabetes and cancer. The announcement that a rough draft of the human genetic map was finished almost two years ago was met with a great political and media frenzy. But some scientists were not so vocal about the achievement. 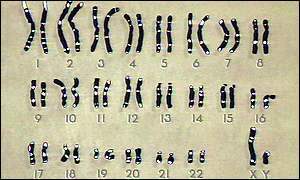 Now though, it looks as if a detailed and precise map containing more than 90% of our genes and where they are found on the chromosomes looks to be completed in 2003. Professor Sakaki, from the University of Tokyo, says that with this precise map researchers all round the world will be able to tackle the more complicated work of trying to discover which genes are responsible for illnesses like diabetes, cancer and hypertension. Scientists already know that these types of illnesses are caused by many genes acting together. Despite their complexity, Professor Sakaki is confident that with new genetic techniques, medical treatments designed to target the faulty genes will be available in 10 years' time. The Shanghai meeting, which has brought together more than 700 scientists, has highlighted China's contribution to genetic research. The country's researchers have gone from small beginnings to the forefront of modern science. China has two human genome research centres, both of which contributed to the rough draft of the human genome. Chinese researchers were also vital in decoding the rice genome, a major food source for billions of people worldwide. Particular emphasis is being placed at the conference on how genes - the building blocks of life - interact with each other. 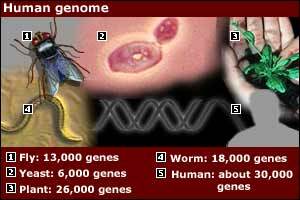 It is estimated that humans have only about 30,000 genes - that is 20,000 less than rice; so how fewer genes can produce a much more complex organism - a human being - still needs to be understood. Other issues under discussion will include genetic diseases like cystic fibrosis and Down's syndrome, and ethical debates about storing genetic information on databases. 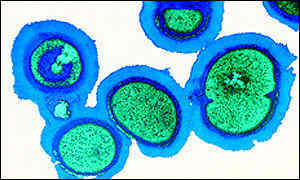 Superbugs may be developing a resistance to antibiotics by sending warning signals to each other, scientists believe. Messages sent by bacteria as a wake-up call to other roaming bugs to head towards the bacterial colonies called biofilms. The findings of Richard Heal and Alan Parsons of QinetiQ, formerly part of the government's Defence Evaluation and Research Agency, are published in New Scientist. Heal and Parsons did their experiment in a Petri dish divided into two compartments. The only connection between them was a five-millimetre air gap between the top of the wall and the lid. In one compartment they placed 100 or so blobs of the bacterium E.coli, together with various antibiotics. When the other compartment was empty, the bugs simply died, killed by the antibiotics. However, if thriving colonies of E.coli were placed in the other compartment, the first lot of bugs not only survived, but began to multiply. If the gap between the compartments was sealed, the bacteria in the first compartment died. So the bugs in the second compartment must have sent some kind of airborne "survival" signs, Heal and Parsons conclude. The warning signal made the recipient bacteria turn on genes that make them resistant to at least three common antibiotics - ampicillin, tetracycline and rifampicin. However, the researchers have not yet identified the signal. Mr Heal doubts whether it could be any of the known chemical messengers or pheromones that bacteria use. Nor is it likely to be any of the volatile substances discharged into the air by some soil microbes. Mr Heal said: "We've tried without success to isolate the chemical signal from the air by dissolving it. Next we'll try gas chromatography." They hope that by identifying and neutralising the signal, it might be possible to stop new colonies of bacteria growing or stop them developing resistance to antibiotics. Mr Heal says he expects the discovery to be of most use preventing the growth of biofilms, which often clog surgical prostheses and catheters. Microbiologist Professor Peter Hawkey, from the University of Birmingham, is intrigued by the findings. He said: "What I find unusual is that the signalling substance is potentially airborne. The levels of resistance being switched on by this substance are quite low. "However it does help to stimulate research into fundamental control mechanisms of antibiotic resistance in clinically important bacteria, to understand how bacteria are spread and how bacteria can be switched on to resistance." Dr Douglas Kell, who studies bacterial pheromones at the University of Wales in Aberystwyth said the results were "striking". He said he knows of no other reports of airborne signalling between bacteria, but says there are parallels in plants. Leaves wounded by biting insects send out a gas called methyl jasmonate that warns other leaves to prepare for attack.